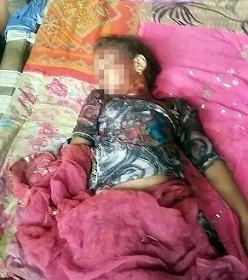 A 12-year-old girl identified by Local media as Ravina was killed by a leopard after it dragged her away while she slept next to her parents. 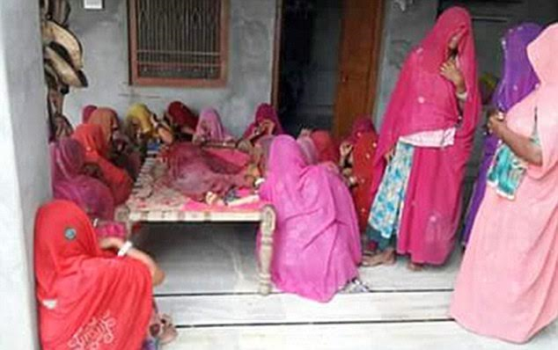 Her mutilated body was found covered in mud in their backyard of the family home in a village near Udaipur, India. According to reports, the girl was said to have sleeping next to her father Ranjit Singh and mother on the terrace of their house when a leopard grabbed her by the neck around midnight. The girl's mother did not realise she was missing until around 4am. When she did, she alerted others and launched a frantic search. The child was later found dead in their back yard with teethmarks on her body. It is the second terrifying incident this month in that area and villagers are reportedly angry that authorities have not done more to stop leopard attacks. The Police have been called again along with forest authorities - to search for the animal and put an end to the attacks.